Explanation: Yes, but can your soccer ball do this? 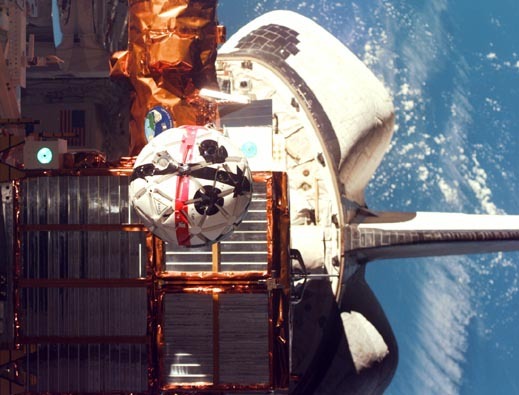 The ball near the middle of the above photograph is actually a robotic camera designed to float about a Space Shuttle and the International Space Station and take pictures. 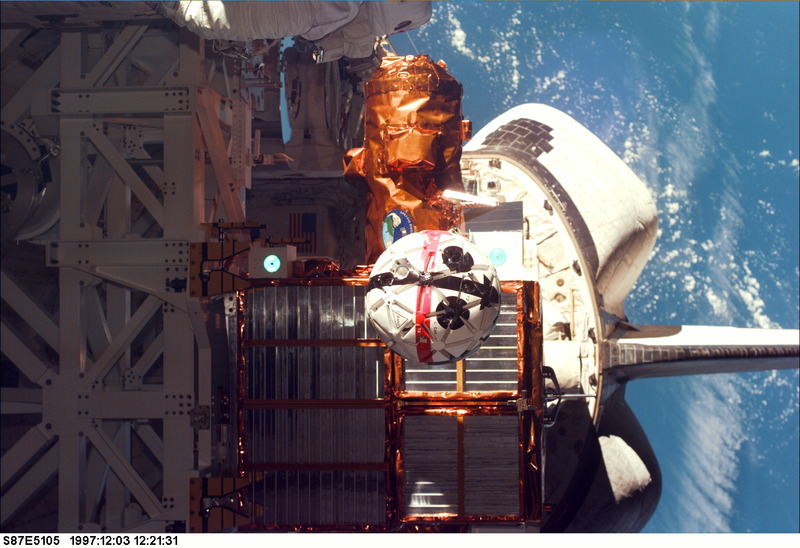 Named "Sprint", it is NASA's first Autonomous Extravehicular Activity Robotic Camera (AERCam) and was tested earlier this month by the crew of Space Shuttle Columbia. Sprint's diameter is actually about 50 percent larger than a soccer ball, and astronauts make a goal of not kicking it. Tomorrow's picture: A Martian Lake Bed?